Gates that offer both protection and appealing design are a priority for many homeowners across the Sunshine Coast, however products that combine the two are hard to come by. Most gates are mass-produced and simply lack the enticing design that will complement your home. When this is coupled with the substandard quality of many mass-produced gates, homeowners across the Sunshine Coast are left with few options. There is a clear solution, however: handcrafted wrought iron gates. Wrought iron combines strength, malleability and durability to ensure maximum security without making your home look like a prison. 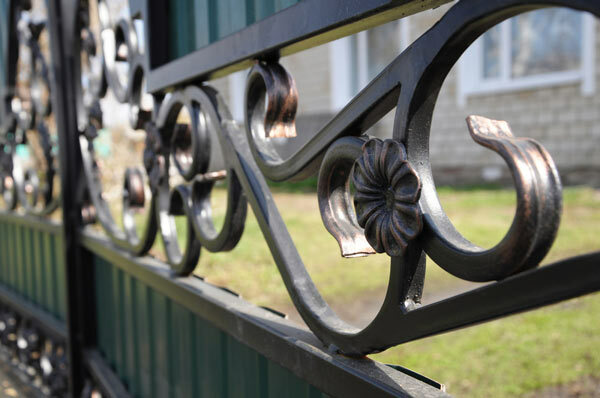 The strength of wrought iron ensures that it can withstand enormous pressure, whilst its malleability allows it to be crafted into striking and uniquely intricate designs. These designs will remain immaculate for many years, due to the unmatched durability of wrought iron – even when exposed to the harsh climate of the Sunshine Coast. 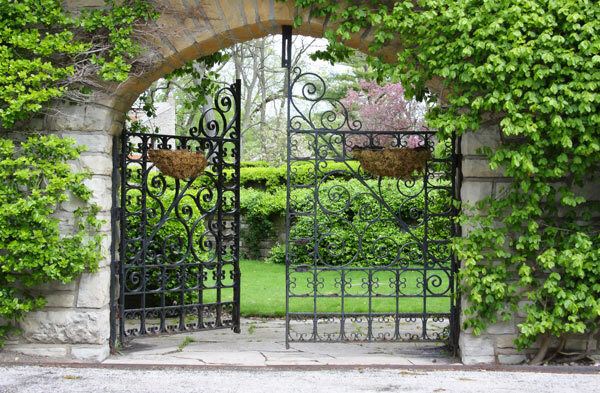 Dean Wilson Iron offers a comprehensive range of services to bring you the best in wrought iron gates. Our team has a great deal of experience working with wrought iron and we know how to develop the most personalised, unique wrought iron creations on the market. We believe that security should never come at the cost of design and this is why we specialise in delivering customised designs that perfectly meet your needs. Our aim is simple: to create personalised and unique wrought iron gates that combine practicality, functionality and, of course, unrivalled aesthetic appeal. We work with you to establish a design that will perfectly complement the features of your home, before crafting the design into a strong, durable and attractive gate. We can undertake all gates – whether it is a large driveway gate, to give your property an ambience of grandeur, a small pedestrian gate, for your convenience, or anything in between; we even do pool gates so you can add a personal touch to your recreational area. To create a true presence in your entry to your Sunshine Coast home there are few better options than hand crafted and styled wrought iron gates. Gates can be an invaluable design feature of your property and they can greatly contribute to its ambience. Being the entrance to your home, a gate can leave a lasting impression on visitors and because of this, it is important that your gate reflects your own personal style and complements the design of your home. Here at Dean Wilson Iron, we appreciate this and will work with you to develop a design that perfectly encapsulates your own style and the features of your home. We demand the upmost in quality for our clients and to achieve this, we combine practicality with aesthetic appeal to deliver the most targeted and suitable gate solutions for your home. We consult you throughout the entire process and our team of blacksmiths will work closely with you to make your perfect design a reality. Each of our gates is built to an unrivalled standard and combines security, practicality and designer appeal to give your home the leading edge. 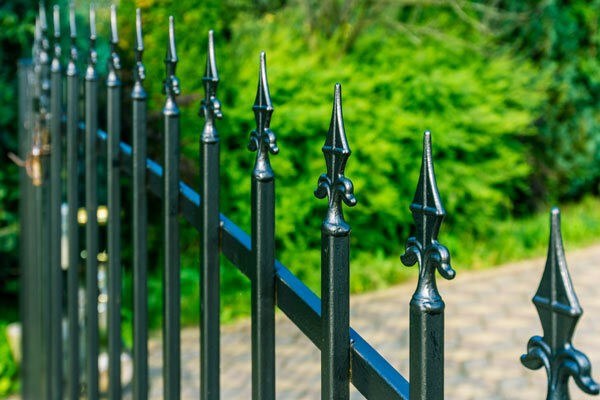 To ensure the upmost in security, we use solid wrought iron as it is capable of withstanding great pressure and offers effective security as a result. To provide you with the most practical gates, we have developed an approach that combines the timeless beauty of wrought iron, with the convenience of modern technology. We can install gate motors, intercom systems and electric locking systems to fully automate your gate. With these technological installations, you can operate your gate remotely, whilst maintaining full control over who enters your property; you can rest assured that your family is well protected and your property is still readily accessible to you. At Dean Wilson Iron, our team are dedicated to working with our clients to develop perfectly targeted, designer gates that will effectively serve their purpose. To make sure that you receive the best quality and most unique designs, we work closely with you to comprehensively assess your needs and the design features that you would like included in your gate; our approach to service is centred on you and we pride ourselves on meeting every one of your needs. Here at Dean Wilson Iron, we understand that you will probably need some time to consider your options before committing to a design or product. To help you get a clear idea of your options, we can provide you with a quote based on some measurements and design information. We like to discuss your needs with you during the initial stages of the process to help you explore some of your options and any design concepts you may already have. This is a great time for you to present us with any questions you might have about our range of wrought iron gates or our service process; we also encourage you to outline your concerns so we can clarify any points of confusion for you. As well as making gates that are strong, unique and durable, we strive to make our products as practical as possible. We understand that it is not always convenient for you to open your gate manually – especially when it comes to driveway gates – and we recognise that you might have some specific security requirements. For these reasons and more, we have combined our timeless craft with leading edge, modern technology. The result of this is a classic, elegant wrought iron gate that can be fully automated or manually locked, depending on your personal preferences. We can also install intercom systems for all of our gates meaning that you will have full control over the gates on your property and we offer a range of electronic locking systems for unrivalled security. With so many options to choose from, we can guarantee the perfect gate for you. Our team of skilled blacksmiths can combine your personal design preferences with unrivalled craftsmanship and quality to create a gate that truly reflects your style and complements the features of your home, whilst ensuring the upmost in functionality. Our priority is to bring your design concepts to life, in a wrought iron creation that will perfectly fulfil all of your practical requirements. We will discuss all aspects of your gate with you, before the build commences in order to establish precisely what you need from your gate and determine the measurements of the area in which your gate will be installed. Once we have these details, we can begin manufacturing your gate and we will keep you informed throughout the entire process – our team can send you progress photos and you are welcome to inspect the gate at various stages of completion, for your peace of mind. If you need a gate perfectly tailored to your specific needs or have a question about our wrought iron solutions, then contact us today. We welcome your input and our aim is to bring your personal design concept to life in our wrought iron creations. We can be found on Facebook if you would like to see photos of our work across South East Queensland, or simply have a query for us. #1 How long will my wrought iron gate last? Wrought iron is an incredibly durable material and if you maintain it well, it can last you a lifetime. Maintenance is relatively straightforward when it comes to wrought iron gates and usually a gentle wash with soapy water, followed by a rinse, will be sufficient. You will only need to do this periodically, however the frequency of each wash might depend on the area in which the gate is installed. #2 How do you protect your wrought iron gates from rust? Although it is incredibly durable, wrought iron can rust if it is not finished correctly. Here at Dean Wilson Iron, we have a wealth of experience working with wrought iron and we have an unfaltering dedication to quality. This means that we take every precaution necessary to ensure that your gate won’t rust. These precautions include a grade three sandblast to the metal, a protective zinc layer and a decorative powder coat or hand-rubbed natural iron finish. As a testament to our workmanship, all of our gates are guaranteed for ten years against rust, manufacture and installation. #3 How long does it take you to complete a custom gate? The team at Dean Wilson Iron are experienced blacksmiths who take pride in their work and maintain unrivalled attention to detail. This means that it is best to allow between six and eight weeks for the completion of your custom gate. This timeframe usually allows us to finish your gate in line with your specifications and our own self-imposed standard of quality – you can rest assured that your gate will completed to your satisfaction. #4 How will my gate be designed? Our service process is centred on you and this means that you will have the most input in how your gate looks. We have the skills and experience necessary to bring your design concept to life and we are well positioned to combine aesthetic design appeal, with your practical requirements to ensure that the finished product meets and exceeds your expectations.